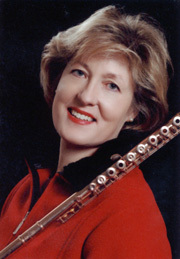 Long time Steamboat resident (1976), Mary Beth has been an integral part of growing music in Northwest Colorado. From providing one of the first music courses at Colorado Mountain college in 1978 to the founding of the Steamboat Springs Chamber Orchestra in 1991, she has created opportunities for herself and others to love, grow and excel in music study, performance and collaboration. From her early years in Steamboat, she is remembered by many as the traveling preschool music teacher, opening up the eyes, ears, and hearts of the young to the possibility of music. Over the past 25 years, hundreds have received Mary Beth's "toot"alage. Many students have moved on to college music, careers in music, and avocation in music. Presently she is at work and play with the Emerald City Opera, Steamboat Springs Chamber Orchestra. Mary Beth maintains a limited private teaching schedule in addition to being wife of Mark Fischer and mother of Catherine Fischer, age 10.